The Cook-a-Palooza Experience: English Muffin Mini Pizzas - An Off Campus Favorite! 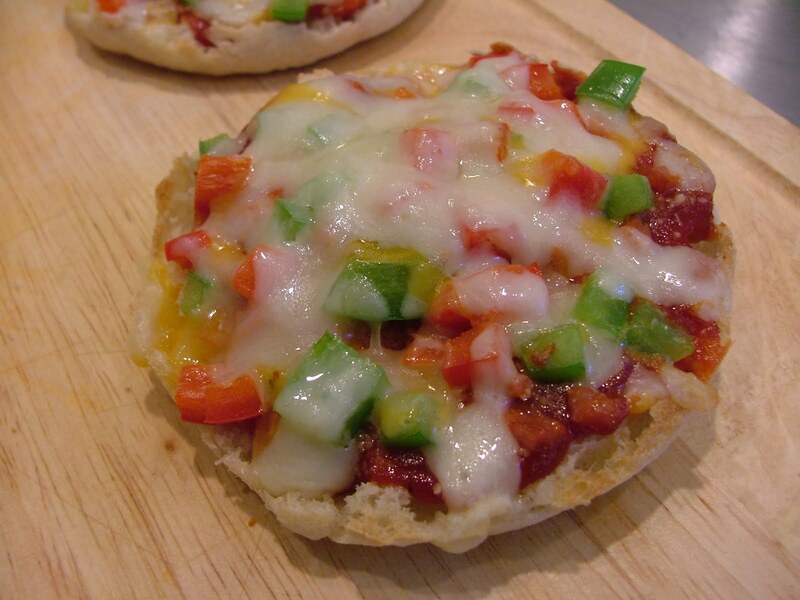 English Muffin Mini Pizzas - An Off Campus Favorite! One of my favorite things to eat while living off campus at university was a "mini pizza on a bagel" prepared by a sandwich shop located just up the street from our student house. I would often stop there after classes to buy one because it was soooo delicious! When I was short on money I would make my own version at home. It took me some time, but I eventually figured out the sandwich shop's secret to making the sauce so tasty. Instead of using just pizza sauce they would add in a touch of barbecue sauce for a sweetness that was hard to resist. The only thing I never liked about their version was the sauce would leak through the hole of the bagel and often burn my hand. That's why I now use English muffins instead. As for the toppings…in this case I used bell peppers and pepperoni but you can go with whatever toppings you like! They had their satellite radio tuned to a country station while I was in the kitchen and one song I recognized was Johnny Cash's Folsom Prison Blues. It made for a decent cooking experience because I like Johnny Cash. If you're more of a Nine Inch Nails fan, try listening to Johnny's cover of "Hurt". Tip: Instead of buying expensive prepackaged pepperoni at the grocery store ask the person at the deli counter if you can get the pepperoni used on the pizza the store makes (most grocery stores now prepare their own). You can get a lot of pepperoni for about $1.00 this way. Cut English muffins in half horizontally. Place in a toaster to lightly toast each half. Remove from toaster and place cut side up. In a small bowl mix together pizza sauce and barbecue sauce. Using a spoon, evenly spread 1 tbsp of sauce over the top of each English muffin half. Sprinkle each with ½ tsp of Parmesan cheese followed by a pinch or two of black pepper. 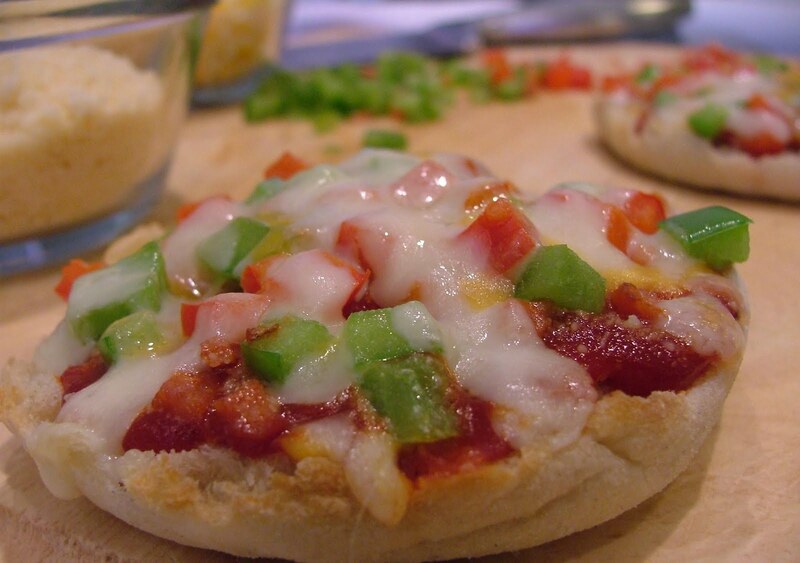 Top each mini pizza with desired amount of chopped pepperoni, red pepper and green pepper or use your own favorite toppings. Sprinkle desired amount of cheese on top. 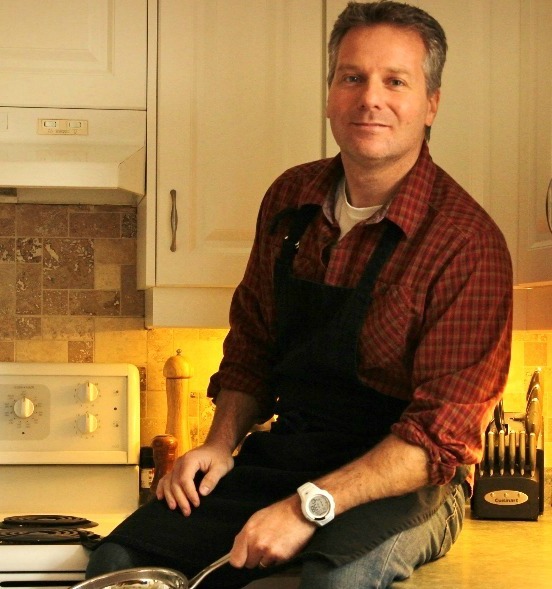 Recipe by Brent “The Kitchen Roadie” Garell. 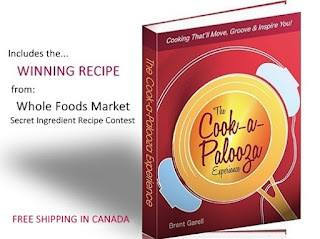 Tested on location in the parents “Cottage” kitchen with vast amounts of country music playing in the background…they seem to like that stuff.